3D printing giant Stratasys has inked a technical partnership agreement with Boom Supersonic, a Denver-based startup which is developing a Mach 2.2 civilian supersonic airliner. The three-year agreement will help Boom accelerate production of advanced tooling and production-grade parts for its 45-passenger civilian transport aircraft by leveraging Stratasys’ FDM-based 3D printing technology. Under the agreement, the company will deploy Stratasys’ Fortus 450mc and F370 3D Printers — both designed to produce on-demand parts using production-grade thermoplastics, as well as advanced manufacturing tools that perform even under aviation’s most challenging environments. Blake Scholl, Founder and CEO of Boom, said the technical partnership with Stratasys brings the commercial airline industry one step closer towards routine supersonic travel. “Today’s significant advances in aerodynamics, engine design, additive manufacturing, and carbon fibre composite materials are transforming the industry at all levels. Additive manufacturing helps accelerate development of a new generation of aircraft,” Mr Scholl noted. Rich Garrity, President of Americas for Stratasys, said the agreement will enable Boom to advance speed, cost savings and performance across critical engineering and manufacturing processes at its headquarters in Denver, Colorado. “Boom is working towards a major breakthrough in supersonic, commercial airline travel – and we’re excited Stratasys is now playing a strategic role in helping them achieve their goals. We are proud to add Boom Supersonic to a roster of leading aerospace companies successfully implementing our additive manufacturing solutions to deliver new innovations in aviation,” Mr Garrity said. Still under development, Boom’s supersonic airliner will be capable of flying 2.6 times faster than any other aircraft on the market today. 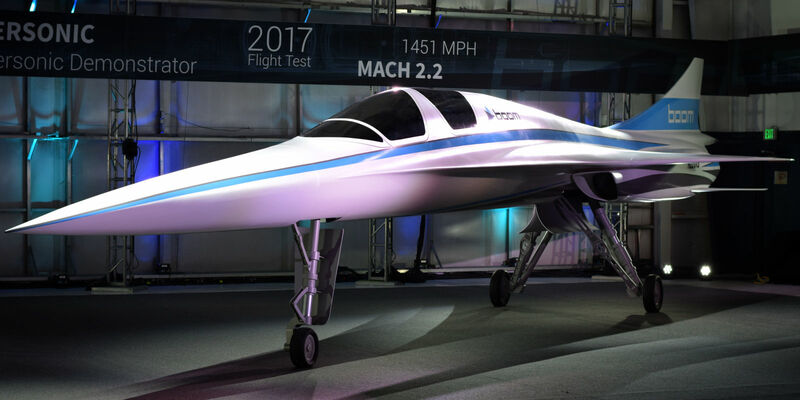 The aircraft will have the ability to accelerate to 1,451 miles per hour, reducing typical New York to London flight times of seven hours to just over three hours.